Prioritizing features in a backlog for a product is a very hard problem. And there is no 1-size-fits-all solution. Different approaches can help you depending on what you’re struggling with. 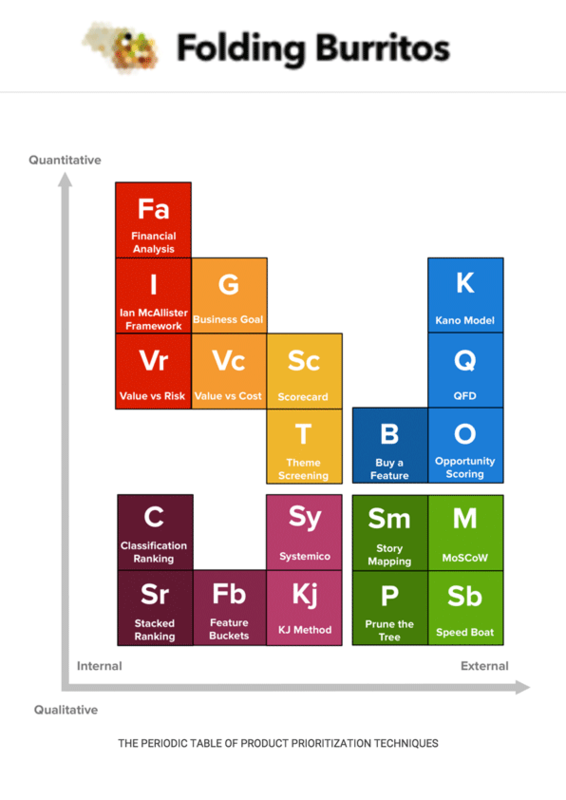 Daniel Zacarias’ created a Periodic Table of 20 Product Prioritization Techniques to help you find the right one. And not only that, he explains all 20 techniques here.